Jeong Se woon, a surprise MV of 'My Ocean' back ground of Jeju Island! Jeong Se woon has released music video for the song "My Ocean,". The agency Starship Entertainment released a music video for "My Ocean," a song from Jeong Se woon's new mini-album "±0 (plus minus zero," on their official SNS and YouTube channel 25 afternoon. The released music video for "My Ocean" will be held in this location against a beautiful landscape on Jeju Island, further doubling the image of a sensuous youth film, while Jeong Se woon will appear with a cozy mature atmosphere against a lonely but beautiful nature, it is drawing attention from the fans. And especially, a story that delicately unravels his own musical world with a warm and deep voice gives viewers a unique touch. Producer Hong Sung jun, one who previously worked on music films, Winter films and music videos for "20 Something," further reinforced the mood of "Jeong se woon. "My Ocean" is a pop ballad featuring romantic songs and delicate melodies under the ocean theme, composed by luxury producer Marktub and singer-songwriter Raon Lee. 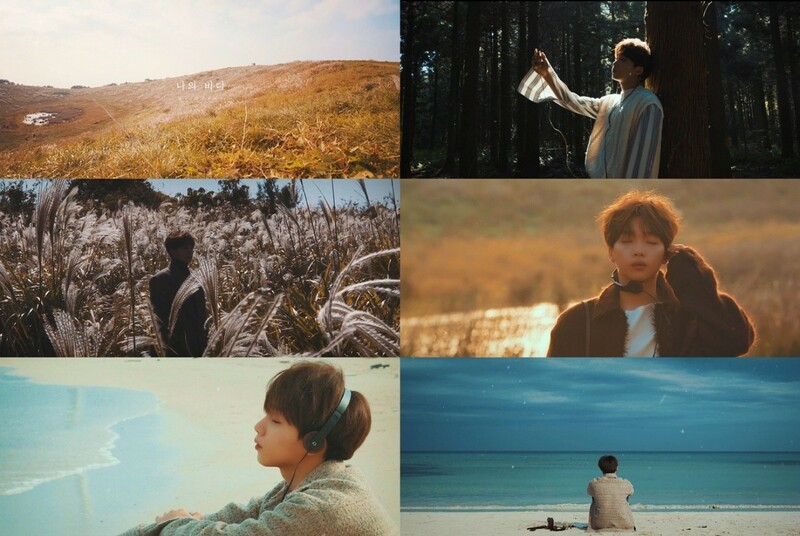 Based on his warm and deep vocals, Jeong Se woon released a music video featuring beautiful backgrounds and lyrical visuals, further amplifying his appeal for the song. Jeong Se woon continues his active album career with the title track "Feeling (Feat. PENOMECO).